We offer excellent solutions for even the most unique needs and applications. For extra high exhaust volumes and/or temperatures, or for challenging applications, allow Ascent Systems to work with you. We have furnished solutions on projects ranging from lawn mowers to jet turbine engines. 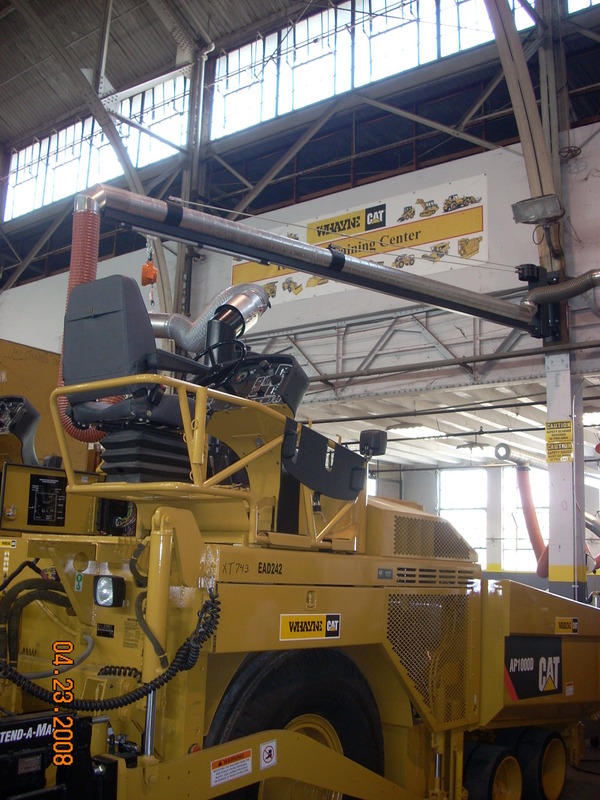 Have a Fleet/Diesel Facility?Have a Military facility? Our customized solutions have been used in applications including ATVs/UTVs, snow cats, high capacity engine training stations. These applications often demand creative thinking, in order to meet the needs of unique challenges. We have the capability to design and manufacture systems that address a wide variety of custom requirements. This self-contained exhaust kit includes an exhaust fan, a Holster/Hose, and a Tailpipe Adapter. It's available as either wall-mounted or ceiling-mounted. We also offer a kit in which one fleet service Vacuum Holster and a smaller exhaust fan are suspended from the same wall bracket. This greatly minimizes the size of the ductwork, and reduces its interference within the facility. Interested in more custom system options?